The famous books that everyone has heard of—War and Peace, Crime and Punishment, A Tale of Two Cities—are famous for a good reason. Namely, they are classics. Meaning that they are so well written and provide the reader with such a depth of insight into the human condition that they bear reading and re-reading, by one person throughout a lifetime, as well as by the generations of new readers coming along, year in and year out. However, there also exists another category of books that should qualify as classics, in the sense that they are beautifully written, are profoundly interesting, and bear re-reading, but for some reason have been overlooked. Some of them may have been celebrated for a season, but now they are more or less forgotten by the reading public at large. This is especially apt to happen to books that have been translated into English from a foreign language. The existence of these forgotten classics means that exploring the byways of literature can be an unexpectedly rewarding experience, because one is liable to stumble across magnificent works of art that one never even knew existed. Here is a list of our top ten personal favorites in this category (they are all translated; we will be posting a top ten list for forgotten English-language books in the near future). The dates are those of original publication. Some of the books are out of print, but all of them should but readily available in public libraries. If you care deeply about great books, may we recommend Regent University's College of Arts & Sciences? 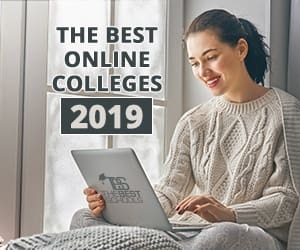 Their 120-credit-hour online Bachelor's in English cracked the top 10 on our list of best online english degree programs. It could be the perfect way to explore your love of literature. 1. Skylark, by Dezso Kosztolanyi (Hungarian, 1924). Kosztolanyi was primarily known as a poet in his native Hungary during his lifetime, but he also wrote a handful of short novels, each of which is a minor masterpiece. Skylark is a work of dark humor and haunting beauty about parents andchildren and the distance between the lives we lead and the lives we long for. 2. Rock Crystal, by Adalbert Stifter (German [Austria], 1843). Stifter is truly an undiscovered treasure—indeed, a whole undiscovered country, since only a fraction of his work is available in translation. He was a talented painter, too, and his books are like paintings—they are ideal landscapes of the human soul. Rock Crystal was originally titled Holy Eve; it was retitled and reprinted in 1853 with five other short works in the collection, Colored Stones. It is a brief parable about man and nature, parents and children, and the saving power of love. An unforgettable reading experience. 3. Quincas Borba, by Joachim Machado de Assis (Portuguese [Brazil], 1891). Machado de Assis, a descendant of slaves and the son of a wall painter and a washerwoman, was a poor newspaperman and philosopher manqué. He rose to become perhaps Brazil's greatest man of letters. His books all create unforgettable characters living on the margins of society who find themselves in fantastic situations that stimulate reflection upon the great themes of love and life and death. Did we mention that his books are extremely funny (in the dark humor sort of way)? Machado de Assis was prolific, and it is difficult to choose among his books, but Quincas Borba (also known in an earlier translation as Philosopher or Dog?) is often considered to be his masterpiece. 4. On Heroes and Tombs, by Ernesto Sabato (Spanish [Argentina], 1961). Sabato started out as a physicist and a Communist, but later renounced his faith in both Stalin and science. At the end of his long life, he was appointed to head the commission that investigated "the disappeared" ("los desaparecidos")—people who were kidnapped and murdered without trial by Argentina's military government during the "Dirty War" of the 1970s. Sabato wrote many important essays on the relationship between human values and modern science and technology, many of which still await translation. He only wrote three novels, but two of them, Heroes and The Angel of Darkness, were blockbusters. Heroes, a phantasmagoric work of multiple, interlocking narrative voices and time frames, has been compared to works by Dostoyevsky, Hesse, and Musil. Its central theme is how to sustain the meaningfulness of human existence in the face of modern nihilism. 5. The Leopard, by Giuseppe Tomasi di Lampedusa (Italian, 1959). This great novel is mainly known through the fine 1963 film version by Luchino Visconti, but it deserves to be read in its own right. Lampedusa was a provincial aristocrat and intellectual, isolated in Sicily, who gave private courses on English literature to his friends and family. He only managed to complete one substantial work of fiction, which was published posthumously. But that is enough. The Leopard is an immortal work that is a blend of surgically sharp social observation (set against the backdrop of the Risorgimento) and profound interior monologue of a man much like Lampedusa himself struggling to understand the meaning of his own existence. 6. Memoirs of Hadrian, by Marguerite Yourcenar (French, 1951). Marguerite Yourcenar was the nom de plume of Marguerite de Crayencour. Though Belgian by birth and American by long residence, Yourcenar was the first woman to be elected to the august Académie française in 1980. Memoirs is one of the greatest historical novels ever written. It succeeds brilliantly in recreating a past world, but it also succeeds in recreating for us the interiority of a living, breathing man, the Emperor Hadrian, in a way that only the very greatest novelists can do. Hadrian's military campaigns and his search for love and the meaning of life are rendered in an equally compelling fashion. 7. Belle du Seigneur, by Albert Cohen (French, 1961). If one wished to be flippant, one might say that Albert Cohen is the Jewish James Joyce. Certainly, there are scenes of interior monologue in Belle to rival anything in Ulysses for their biting wit, humor, and insight into the human condition. But Cohen incorporates other elements, such as a Greek chorus—the "Valorous Ones" (a bunch of the hero's poor relations)—and, above all, a tender and tragic love story told in a realistic vein. Cohen was born on the Greek island of Corfu to a Sephardic family that moved to Marseilles when he was seven. Thus, he was rasied in France. He spent most of his adult life working as a bureaucrat (and no one has ever satirized faceless bureaucrats more mercilessly!) for the United Nations in Geneva. The monumental Belle (the title is untranslatable, but means something like "Her Master's Beauty") is uncontestably Cohen's masterpiece, but he also published the relatively slight Book of My Mother, which is one of the most beautiful and moving testaments of filial devotion ever penned. It contains much of his singular philosophy of life---his Olympian disdain for the vain posturings of human beings, combined with overwhelming pity for their suffering—in a much smaller compass, and is also highly recommended. 8. World Light, by Halldor Laxness (Icelandic, 1937). Laxness is considered a national treasure in his native Iceland. He won the Nobel Prize in 1955, but until recently was all but forgotten in this country. During the past decade, Vintage Books has reprinted several of his most important novels. Laxness was a spiritual seeker who flirted at different times in his life with ideologies as different as Catholicism and Communism, but his vocation as an artist always remained his center of gravity. Nothing if not prolific, Laxness produced a steady stream of poetry, novels, stories, plays, and essays in a very long life. Among his many great novels, World Light is considered by most critics to be his masterpiece. It is an epic tale that is at the same time a profound meditation on the struggle for existence, both physical and spiritual, of man against nature, man against man, and above all man against himself. 9. Bosnian Chronicle, by Ivo Andrić (Serbo-Croatian, 1945). Andrić is similar to Laxness in that he was awarded the Nobel Prize in 1961, but is little read today, at least in this country. He is long overdue for rediscovery. Andrić does not fit easily into any of the ethnic categories that have come into fashion since the Yugoslav civil war of the early 1990s. He was born in the town of Travnik in Bosnia, under the Ottoman Empire, and Bosnia was the life-long subject of his writing; his family's religion was Catholic; but he lived much of his adult life in Belgrade, and wrote impeccably in the Serbian literary language. (Serbian, Bosnian, and Croatian stand in approximately the same relation to one other as do the British, American, and Australian variants of English.) He began life as a poet, but made his reputation above all as a writer of gem-like short stories and novellas. Among his longer fiction, Bosnian Chronicle (literally, Travnik Chronicle, also known in English as The Days of the Consuls) and The Bridge on the Drina stand out. The former is a tour de force of the historical imagination, which recreates Bosnia in the early nineteenth century as filtered through the consciousness of the French consul in Travnik. In doing so, it also recreates all of human life as a complex tapestry of social relations that are the source of the individual's greatest suffering and rejoicing. 10. Kokoro, by Natsume Soseki (Japanese, 1914). We don't know any Japanese, but we have it on good authority that the word "kokoro" is a difficult-to-translate concept that stands for "feeling" or "the heart of things" (occasionally, this novel is referred to as The Heart, in English). Soseki was one of the first Japanese to travel abroad to study European literature (he lived in London for a couple of miserable years). In spite of the fact that Lady Murasaki's Tale of Genji (c. 1000) is often cited as the first novel in the world, there were few works in the otherwise very rich Japanese literary tradition that would qualify as novels in the Western sense of an exploration of the interiority of the individual in relation to society, nature, and existence. Soseki was one of the first Japanese to attempt to write such a European-style novel. The result certainly has the fascination of the exotic for a Western reader. However, like other great works of literary art anchored in a richly specific time and place, Kokoro somehow transcends its origins in order to give us access to another human soul—that of sensei (master), the narrator's teacher. Very soon, we come to feel that sensei's relations with family and friends, his vocation as a teacher, and his fundamental loneliness are all quite familiar to us. In so doing, we forget entirely that this particular human being whom we have come to know so well inhabits a culture that is in many ways alien to our own.